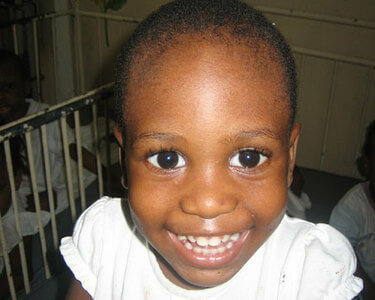 I used to look at this picture of a Haitian boy and think about what he’s doing. I met him while working at HUEH hospital, in Port Au Prince when I was visiting last November. He lives in a metal crib with 4 other disabled, abandoned children in a room that smells like urine and is filled with an awkward combination of moans and shrieks. There are two women who sit in chairs outside the room and twice a day they feed him a mushed brown rice dish and once a day they change his diaper. He is one of thousands of children in Haiti either living on the street, or confined to a small room, with hardly anyone to look after him. This was his life before the earthquake. I have no idea what has happened to him although of the many scenarios I’ve envisioned none are optimistic. I’ve heard mixed reports, the most respectable from the head of pediatrics who emailed that the call rooms where the physicians sleep collapsed; underneath which is the room where this boy lived. I heard that they have to date, 2 weeks later, still failed to locate over 50% of the hospital staff and even more are still not coming to work. I don’t know if those two women, the same two that were there outside the room the year before when I visited, survived the quake, and if they did, whether they were going to work. And if they weren’t going to work, which seemed more probably to me, who was feeding this little boy of mine? Haitian healthcare was resource poor, unorganized, and in great demand- before the quake. As the poorest country in our Hemisphere, Western medicine and resources have been slow to make their way to this half of Hispaniola. Is this because of the political unrest, fluctuating safety and security, or general lack of awareness? Post-quake, there is no longer a lack of awareness. What does a healthcare system look like when it has gone from bad to worse? How do you pull out of such a mess, and do you aim for what things were like before the disaster or seize the opportunity to aim higher? Sally Greenwald is a MD MPH student at a medical school in Boston. She is a dancer, a flutist, a swim lesson instructor, a right fielder in softball, and is conversationally fluent in French. 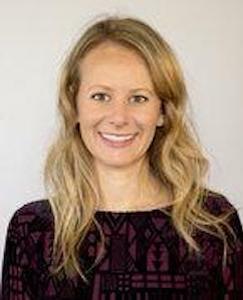 She graduated from Tufts University in 2007 and spent a year as Guest Representative of the Emergency Room and Clinical Researcher of the ED at Stanford Hospital.